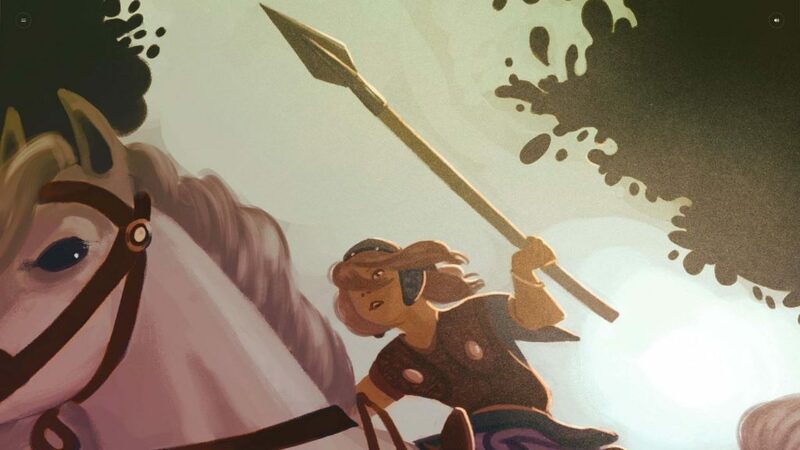 This beautifully painted, award-winning French interactive web comic unveils the life of the Gallic warrior, Apator. The story is set in the last days of Gaul before the invasion of César’s legions. ‘The Last Gallian – Memoirs of a Warrior’ unveils the highlights of the life of Apator, a Gallic leader. Using an innovative vertical scrolling mechanism the comic conveys Apator’s life story as a continuous flow of images accompanied by the voice over of Apator. The dreamy stream-of-consciousness-style flow is interrupted only by the loading screens that preceed each chapter. The spherical distortion of the images adds additional dynamism to the vivid, multi-layered illustrations by Lucy Mazel. The Last Gallian is the prequel for a fictionalized TV documentary about daily life in the ancient European region of Gaul before the invasion of Caesar’s legions. If this is still a comic or something else altogether is up to you to decide. But The Last Gallian is definitely worth a look, even if you don’t speak French. The story is readable on desktops, tablets, mobile phones, and laptops and takes about 15 minutes to read. 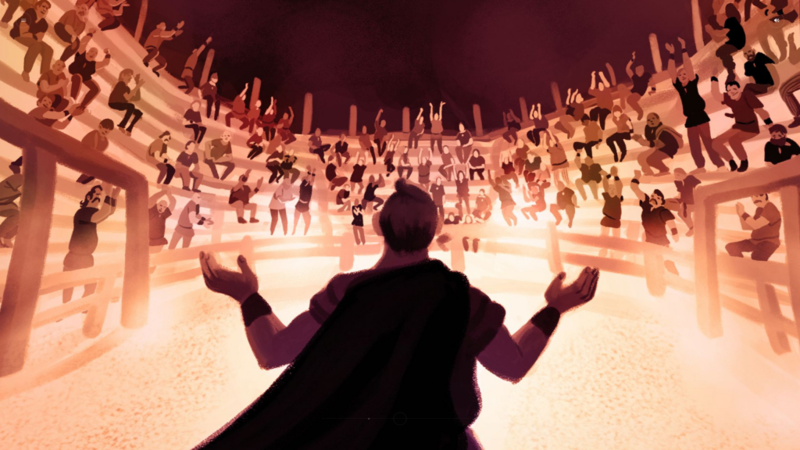 This interactive comic is the result of a multi-disciplinary collaboration between Kevin Keiss, playwright and ancient history specialist, Mutation Narrative for the scriptwriting, and Lucy Mazel for the illustration. While being able to foster freely their own vision of both the character and the story, the writers took advantage of the film’s very thorough documentation which has been supervised by the historian Jean-Louis Brunaux. The documentary part of the project has also received the Silver Winner: Television Award in the 2016 Lovie Awards.